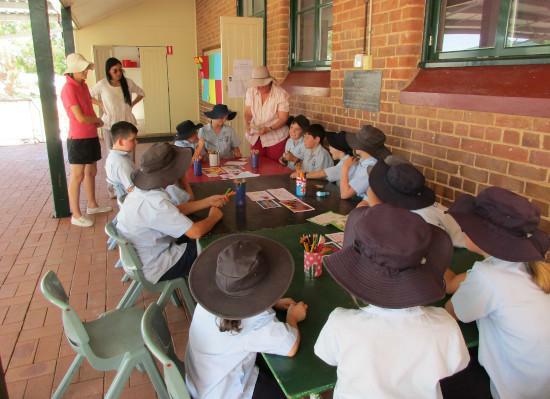 St Joseph’s Catholic School provides a challenging and enriching education for all students. Our mission is to develop personal growth and potential, giving every student the opportunity to succeed. At St Joseph’s we are filled with hope and make connections with our learning, each other, the world and our God. Learning by transferring learning into our community, working collaboratively with others and by challenging ourselves to work to our full potential. Each other by being driven by strong Christian values and ‘Making Jesus Real’ (MJR) by Welcoming, Encouraging, saying Sorry and saying Thanks (WEST). The World by being involved in the wider community and using technology responsibly and creatively. Our God by recognising Jesus in others and spending time in prayer. The first parish school was built in 1876. A new school was built the following year due to a fire burning the first to the ground, the new structure was built in brick. This building is still being used as the Parish Hall. The Sisters of Mercy came to Grenfell in 1885. Enrolment numbers were 140 students at this time. Due to an increase in student numbers a new school building was erected In 1915. This serviced both Primary and Secondary students until 1961 when it was decided that the school would only cater for Primary students. The first lay Principal, Miss Carol Howlett was appointed to St. Joseph's in 1975. In 1977 after 90 years of service in the Grenfell community the last Sister of Mercy retired. 1992 saw the complete refurbishment of the school including a new administraion block. 2006 saw the construction of 2 new classrooms. 2010 saw the refurbishment of the Admin area and the development of our current school library. 2017 saw the upgrade of all heating and cooling systems in all classrooms around the school. Current enrolement in 2018 is 49 students with three classes in operation.